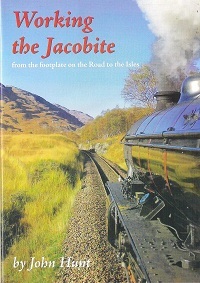 The must have guide for all who ride aboard the Jacobite Steam Train. John Hunt takes us on a day in the life tour of the Road to the Isles on board LNER K1 class 2-6-0 62005. Compiled with the working knowledge that can only be gained from first hand experience, John Hunt’s narrative is both informative and compelling, accompanied with some excellent photographs and a Map of the Line.